Wheat & Weeds: "Your Face Consubstantial With My Fist"
"Your Face Consubstantial With My Fist"
I had to leave home too early this morning to see the kids' reactions to their St. Nicholas Day treats, but the dog didn't get them and I received an appreciative text message that St. Nick has "mucho swag," which is good, I think. 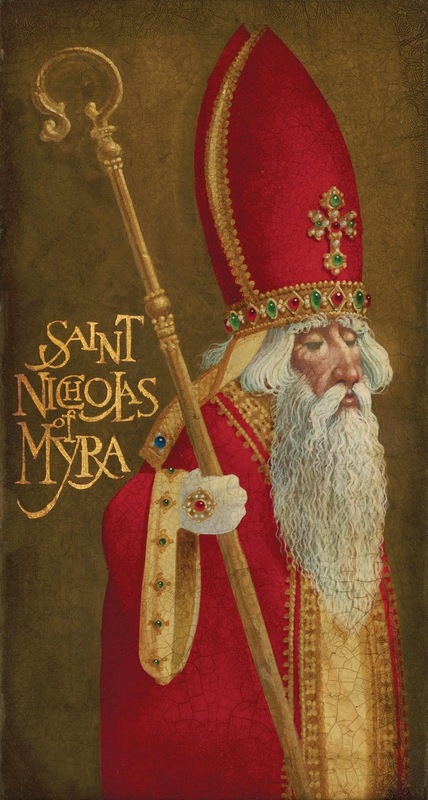 Here's a nice short piece on St. Nick and the heretic-punching incident. This site has covered that theme many times in the past, but raising it again allows me to steal the post title from Jason Bach Cartoons (see the second strip here).